A large, fluffy dog with a dark-colored coat, the Sarplaninac is more than just a big, cuddly bear of a pooch. The Sarplaninac is a livestock-guarding breed that was developed in the mountainous regions of Macedonia and Serbia. 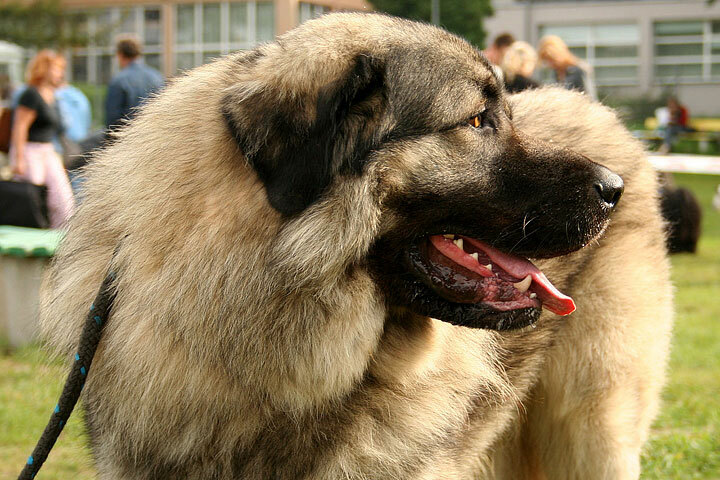 Despite its large size, the Sarplaninac is good with people, even if it does take them a little while to warm up. Because of their natural protective instincts, this breed makes a great guard dog. What makes the Sarplaninac Unique? 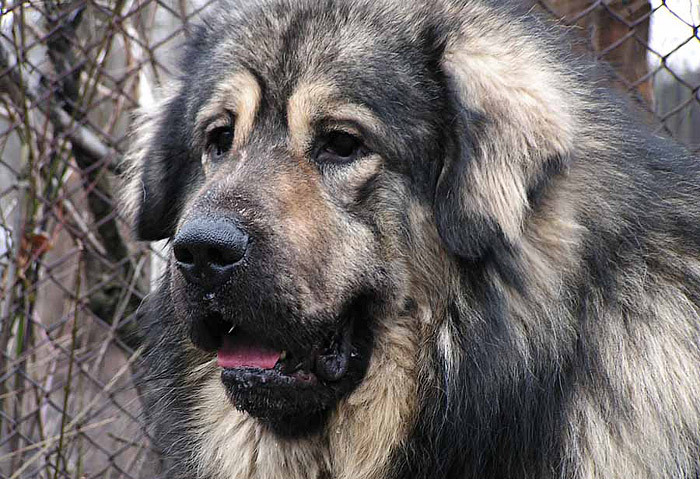 The Sarplaninac is a naturally protective breed. They are suspicious and aloof with strangers, and make excellent home and family guardians. 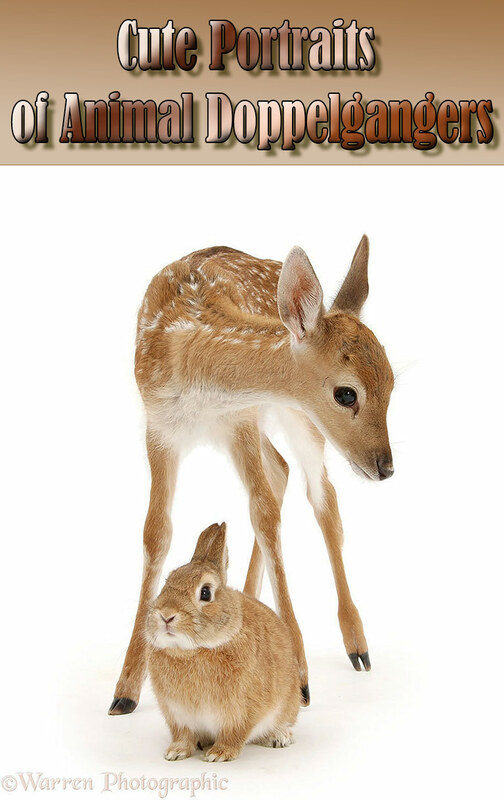 However, they can easily become overprotective and territorial; early and thorough socialization and training is essential in ensuring they do not become overprotective and dangerous. The Sarplaninac is a formidable guard dog that cannot be bribed or coerced; they will not hesitate to defend their charges with their life. 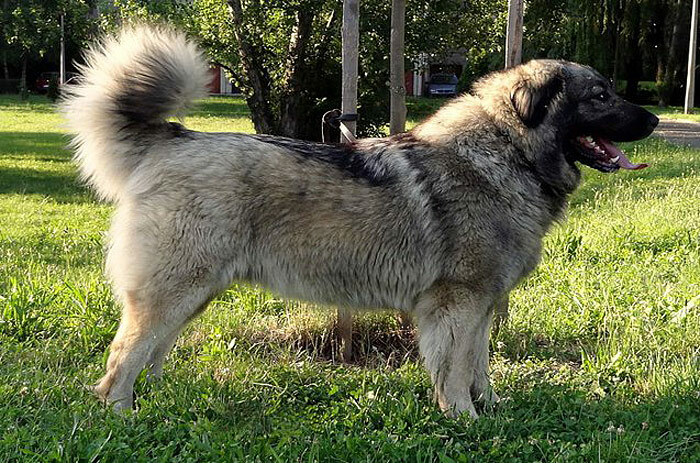 This breed’s name is taken from the mountain in southwest Yugoslavia where it originated, the Sarplaninac. This breed is believed to have been bred by shepherds in the region around 2,000 years ago to protect their flocks of sheep from predators such as wolves and bears. Some writers hold that this breed was brought to Europe from Asia during times of migration and may be descended from the Tibetan Mastiff. Registered by the FCI in 1939, first under the name “Illyrian Sheepdog” and later, in 1957 as “Sar Planina Sheepdog”, this breed has spread throughout all of Yugoslavia and is becoming more popular in other countries, particularly France where it arrived in 1980. The coat of the Sarplaninac is about 4 inches (10 cm) long. The hair is dense and evenly distributed. Colors include: gray, white, tan and black. Colors can be solid or blended. 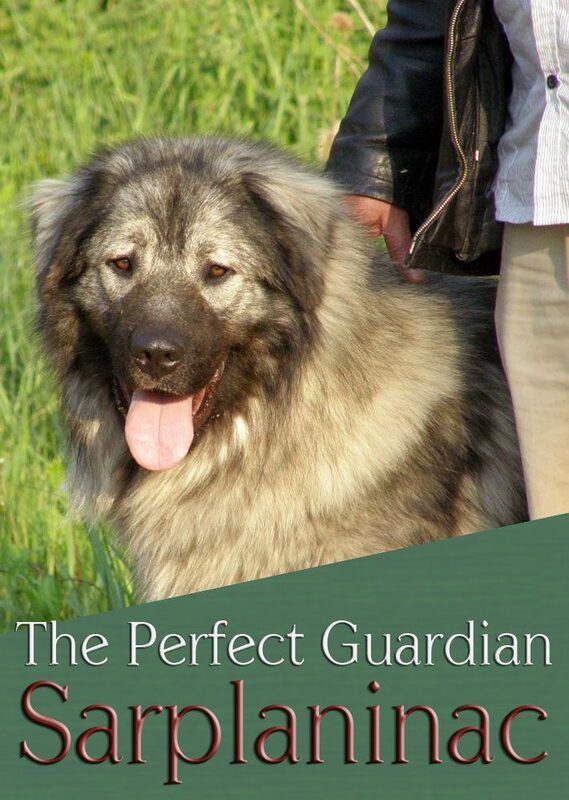 The Sarplaninac is one of the few flock guards that come in solid colors other than white. The body is medium in size and bone. The feathering on the underbelly and legs and the bushy tail, however, give the appearance of a much huskier dog. The tip of the nose is quite large, but not protruding. The tail is slightly curved in repose. The forearm is well-boned, well-muscled and almost vertical. The eyes are dark and almond-shaped. A keen, discriminating expression is characteristic. The Sar is a flock-guard dog that needs to be working. This sheep-herding guard dog is unaffectionate toward its humans. It prefers the flock it so enthusiastically protects. It has natural guarding qualities and independent thinking typical of the flock guard group. Usually calm, but when the situation warrants, it is ferocious in its efforts to protect the flock. It takes its work seriously. When on sheep-guarding duty it will investigate anything that catches its eye, and has no hesitation about confronting adversaries larger than itself. This is not a brainless tail-wagger; the Sarplaninac is a very wise dog that chooses friends carefully and trusts no one completely. He is more obedient to his ingrained code of proper behavior than to accept commands from one master, to whom he is most loyal. 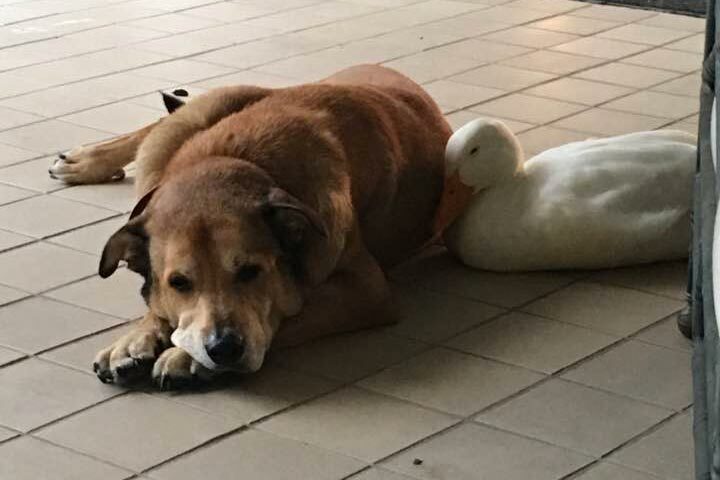 These dogs are very devoted to their flocks. These dogs will tolerate family members including children if they are raised with them, but will be aloof with outsiders. This breed does not bond easily with humans but can become a good pet once it learns to trust someone. Because of its native desire to guard, it also makes a great watchdog for a property or home. The Sarplaninac will protect all of its territory and the living creatures within it. This is a breed that is not to be taken lightly. It can be a rewarding experience if placed in the proper situation. They require work, time and, like anything else on a farm, proper management. NOTE: If you plan to keep this breed as a companion and not as the working farm dog it was bred to be, make sure you are 100% a firm, confident and consistent pack leader. Meek owners will find themselves not being able to control this dog. This is not a dog for beginners. Consistent and firm training is essential to ensure compliance. The Sarplaninac is not recommended for apartment life. It has an all-weather coat and will be content to live and sleep outdoors. His character demands a zesty, outdoor life. He will do best living on a farm with a flock to protect. The Sarplaninac is bred to be a working dog and as such it needs constant exercise to be happy. The perfect environment for this breed is a large yard or farm where they can roam free and guard a flock. If this dog is kept in a smaller home, daily long walks or jogs will supply most of the exercise they need to stay healthy. These walks can be combined with a few trips to the local dog park or backyard for off-leash playtime. The dog has a strong need to explore and will get all the exercise it requires if given enough room to run. The coat of the Sarplaninac is perfect for outdoor activities and requires very little maintenance. An occasional brushing with a stiff bristled brush a few times a month will help to remove any excess dirt or other debris that may accumulate from its roaming through the bush. The Sarplaninac is generally a healthy breed and it has a surprisingly long lifespan for such a large dog. Like all dogs, however, it is prone to several health problems, primarily related to its size. The Sarplaninac is prone to developing musculoskeletal issues like hip dysplasia. Gastric torsion, or bloat, may also be a problem. Care needs to be taken with flea and tick sprays. 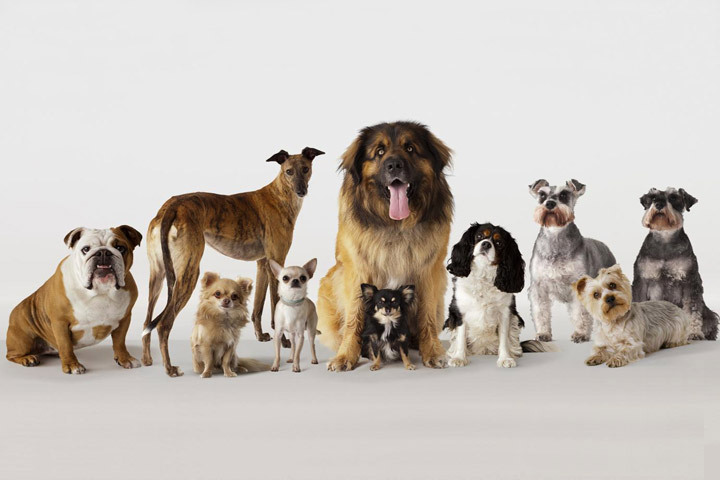 In general there are no specific breed health problems. Most of the problems that are found are primarily problems found in most large breed dogs. 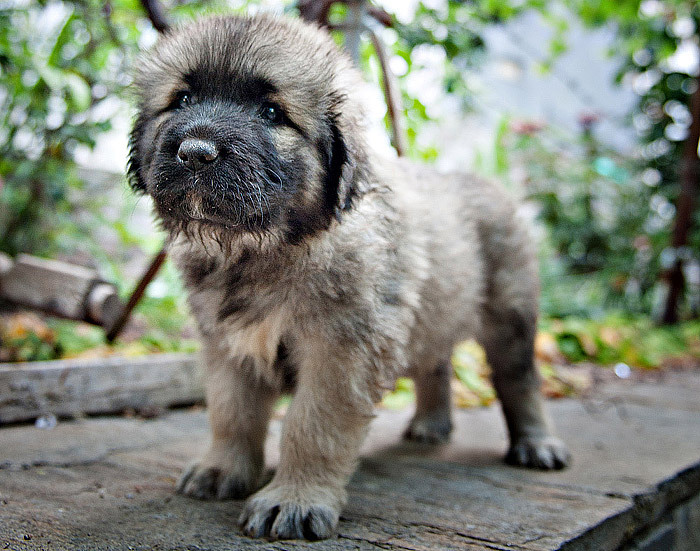 The average litter size for the Sarplaninac breed is 5 to 7 puppies. Because this breed is so large, puppies may take longer to develop than for smaller breeds. Early socialization and training is incredibly important for this breed to make sure they get along with people and other animals. Untrained Sarplaninac puppies have been known to kill small animals until they are trained not to hunt.